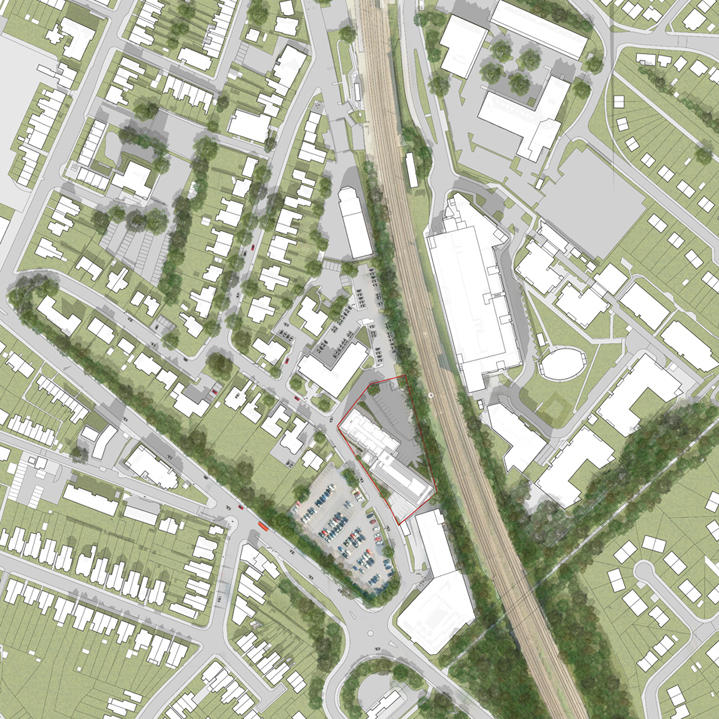 This scheme proposes the redevelopment of an existing office block in St Albans into 125 residential apartments. Following on from the successful permitted development application submitted in November 2014 for a change of use from office to residential, full planning consent for the recladding of the existing building to accommodate a mix of 1 and 2 bed apartments was achieved in August 2015. 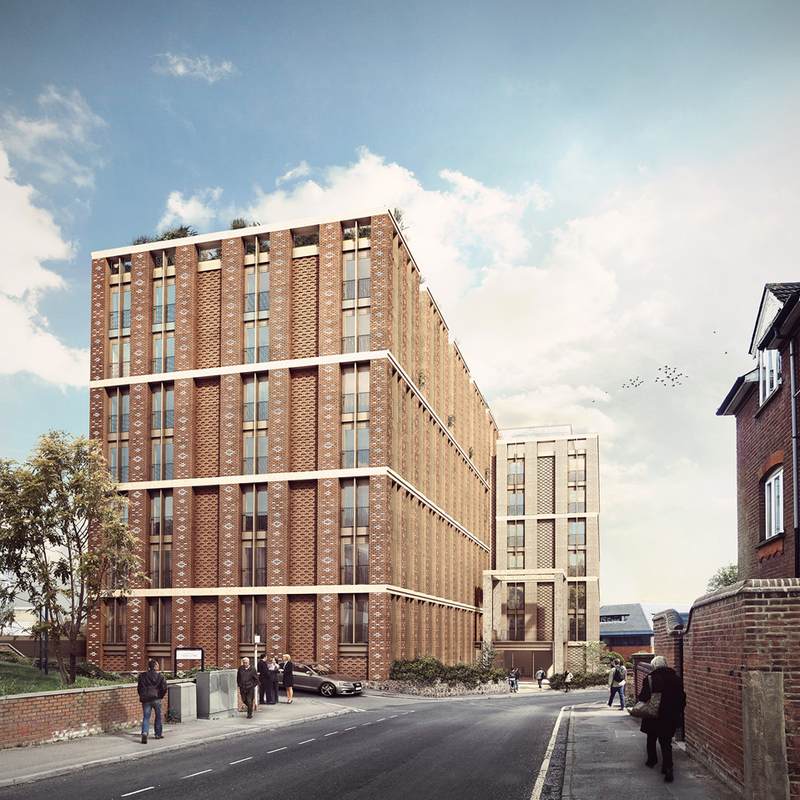 The proposal calls for the replacement of the existing office glazing with a new façade of brick piers inset with stone banding between bronze finish framed glazing and patterned brick inset panels. The use of brick, stone, and flint in the proposed elevations draws upon historical use of these materials within St Albans while the brick patterns set across the piers and inset panels strongly reference the rich brick patterning predominant in the city and the neighbouring conservation area. 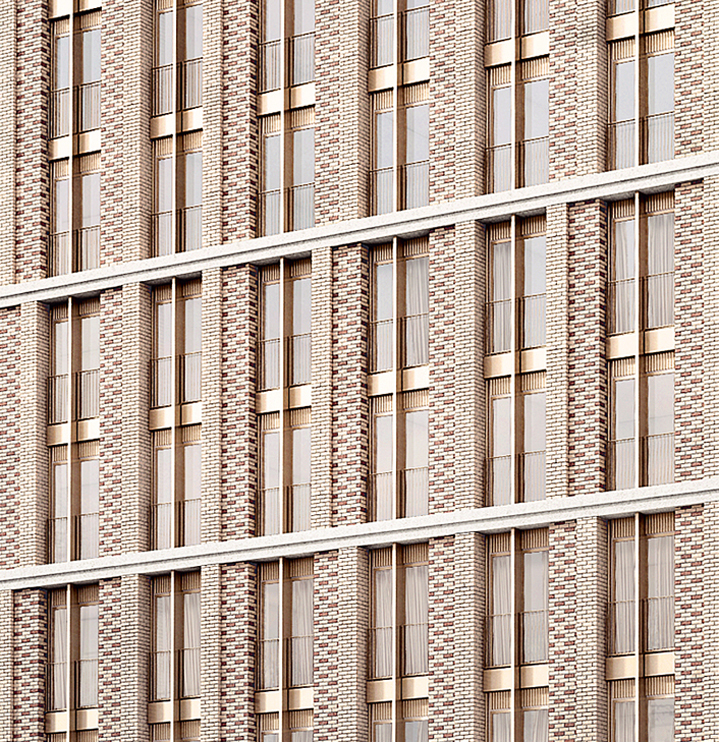 The brick patterned cladding provides articulation and a sense of scale across the proposed façade, breaking down the massing and introducing a residential character to the building in keeping with its surrounding neighbours. This is complemented with a new roof top garden with views towards St Albans Cathedral and the city beyond, a new cast concrete framed entrance set within new landscaping at ground level above a basement car park clad in flint.